I have been sitting here try to remember the Easter song I was taught in grade school and finally realized I am either too darn old to remember it, or was faking sick the day it was taught to avoid a test. As a result you will all just have to live without the cute little lead-in to the subject of this weeks Drool section. I guess that is what I get for trying to be cute. What a putz! It's Easter this weekend and many people will run out to buy live little chicks and bunnies to give to their kids and friends to show just how festive and into the holiday we can be. This is fine if you have given it some thought and know what you are getting into and the work that is involved. I have no problem with people owning these animals as pets. What does bother me is when people purchase these animals for the wrong reason or simply on impulse. Just like puppies at Christmas, many of these creatures are bought with the spirit of the holiday in mind only to later end up at the pound or shelters once the full obligation they entail becomes apparent. If you haven't really looked into what it takes to raise these creatures, and I'm talking about more than talking to the sixteen-year-old girl who works at the pet store, then hold off on the purchase until you have. We have enough animals in our shelters and pounds as it is. Lets not ad to the problem for the sake of a "cute" holiday idea. Even though they aren't dogs, all animals that are sold and/or promoted with the holiday, contribute to the "throw away" mentality that eventually bleeds over to dogs. Now, I know all you readers are as dedicated as I am to our pets, so get the message out to friends and family who may not be as astute as we are. I also want to encourage you all to check your local areas for some of the new legislation being passed all over the country. You could very well find there are many legislators out there trying to unnecessarily make owning a dog a much more expensive venture. Protect yourself against some of these idiots and take action to protect not only yourself, but, your dog. I wish everyone a wonderful Easter. Keep the chocolate and candy away from the dogs, as it can be toxic to your furkids. About six months ago my husband passed away unexpectedly, and I am now going to return to work for the first time in several years. I have been a stay at home mom for our daughter and German Shepard, Hildi, as long as they both remember. My daughter is going to be staying with my husband's mother when I work, but she is allergic to dogs so I can't take Hildi to her place during the day. Hildi has never been alone consistently for such long periods of the day and I am concerned she will become depressed or tear the place up out of frustration. She has never done these things before and has always seemed well adjusted. She did seem to grieve for my husband after he passed, or she could have been picking up on our grief, but who knows. We have left her alone all day before and she has always been just fine. Should I be concerned or am I just being paranoid. First, let me offer my condolences to you and your family for the loss of your husband. The loss of a family member is traumatic to all members of the family to include the four-legged members. 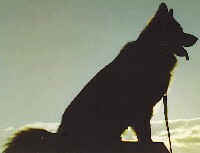 Our dogs grieve the loss of a pack member just as we do, and they sometimes go through a period of adjustment afterwards. It sounds like Hildi is doing well though and that is a blessing. Before I go onto the main subject of your question, I do want to briefly address how to help our dogs through periods of grief. As I said above, our dogs grieve just like we do at the passing of a member of the pack. Unfortunately, since they don't have the power to work through their grief by talking to other pack members, they sometimes will exhibit less than desirable behaviors as a result. While we are dealing with our own emotions at this tragic time, we must try to direct some special attention their way to help them through this time. I believe we need to address their grief in a way that gives them some sort of pleasure and lets them know it is okay to continue on. The method can be different for each dog but the principle is the same. We must reinforce their world will continue and that all the pack roles will be fulfilled. Often, dogs will feel the need to elevate their own position, as they would in the wild, to fill the role of the person who is no longer with us. If the person who passed was the primary care giver for the dog, another family member needs to immediately take over this role. (A family friend can also do it until the family is able to deal with their own grief.) The dog's schedule should be kept as consistent as possible. This includes feeding and exercise schedules. Consistency is key in all things “dog” and it is no different at this time. You don't want to simply act like nothing has happened though because your dog will know you're lying. They can sense our emotions, and trying to pretend simply isn't going to work. After all, the person who is no longer there was a member of their family too. Any time a family member passes there are changes that occur in the home. Sometimes they are as subtle as the television not being turned on at a specific time each day. Other times, as in the case of the writer, the entire routine is upset and the dog must adapt to many changes. This can be dealt with rather easily with a little forethought. In this case, the dog is going to be left alone for several hours a day when she usually wasn't in the past. 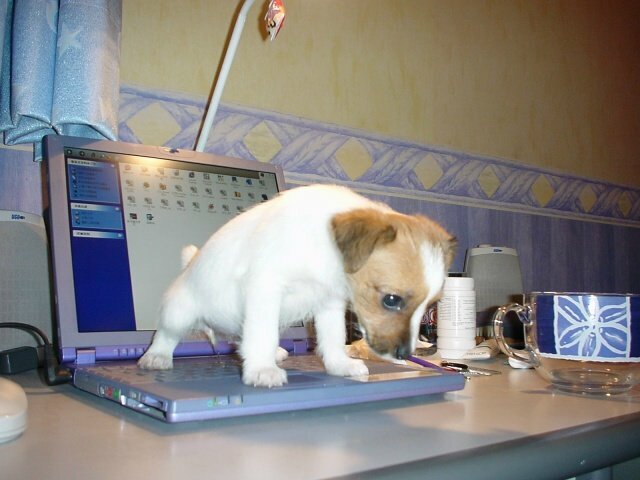 When this happens abruptly, it can cause a dog to exhibit anxiety and destructive behavior. Usually, it is a matter of boredom more than anything else, but separation anxiety can play a critical role as well. With proper planning we can avoid these pitfalls and help our dog adjust to the changes. If the dog is going to be left alone suddenly on a regular basis, you can prepare the dog for these absences in small increments in advance. It is important to figure out the dynamics of how this is going to happen, and plan for it carefully. As with all things in life, a well thought out plan has a better chance of success than shooting from the hip. If the dog is staying at the house, you need to decide where the dog will be while you are gone. My preference is to leave the dog in the house with access to the yard by way of a doggie door if possible. This will protect them from the weather, escape from the yard, and theft. Yes, believe it or not, dog theft is big business. Prepare them for this by putting them on a night time feeding schedule, and, if they need to be fed in the morning, make sure it is done early enough for them to have a good hour plus before they are locked in for the day. This should give them ample time to do the doo-doo before you leave. If they are inside without access to the outdoors, leave them a limited amount of water to drink, particularly if they aren't real active indoors. Take some time to devote to them before you leave for the day. A short walk or game of fetch in the yard will suffice. Exercise is also a great way for them to work off a little excess energy before you leave. This way, they are less likely to relieve this energy on your couch or other possessions. Leaving them toys in the house will give them something to do to fight boredom. This is also a good option if your yard is escape proof. Make sure your fence is high enough to keep them from jumping over and there are no holes they can get through. All gates should be locked to prevent them from inadvertently opening it on their own or having someone else let them out. It is also a deterrent for theft. They need to have ample protection from the elements. A patio overhang is generally not enough particularly if you live in an area where the temperatures are cold or during the rainy season. They should have a doghouse or plastic crate where they can escape the rain and wind. Since dogs are more likely to be active when left outdoors, they should have an ample supply of clean water left in a shady area. I prefer plastic or ceramic bowls for outside as they tend to keep the water cooler. Metal bowls will absorb the heat of the day and I am sure we all know what it's like to drink hot water. Toys are also essential for the yard. Pull toys secured to a tree or the fence can give the dog a good way to expend energy and work off anxiety. Small plastic kiddie pools are also great for the dog to cool off in during the hotter periods of the year. Don't forget to put out their favorite toys as well. Do not chain your dog to a tree or a stake in the yard! Chaining will almost definitely create a territorial response, which will lead to aggression, nervousness and running off when they are unrestrained. Trust me on this. Don't chain your dog. Enough said. There are also dog sitting and walking services you can hire to entertain your pooch during the day. Dog sitters work much like day care and require you to drop off and pick up your dog each day. Some do offer pick up and drop off service. Dog walkers will generally come to your house and pick the dog up for their daily walk while you are away at work. It is important, if you decide to use these types of services, to get references and thoroughly check them out. Remember, you are placing a beloved family member in their care. Take your dog to their facilities in advance of their first stay to allow them to develop a comfort level with the surroundings and also to get your dog's impression of the people who work there. If your dog doesn't like the employees, then there is most likely a good reason. It is also important to make sure they are bonded and insured and do not, under any circumstances, drug the dogs. Believe me, it happens. Whichever way you go, make sure you prepare the dog for the changes and don't throw them on them all at once. Take a gradual approach and ease your dog into the changes. This will reduce the chances they will feel anxiety over the changes and make the transition easier on you and your beloved furkid. You smile at me; I see love in your eyes. What do you see in mine? Do you see a spirit? A soul inside, who loves you as no other could in the world; a spirit that would forgive all trespasses of prior wrong doing for just a simple moment of your time? That is all I ask. Slow down, if even for a few minutes to be with me. So many times you have been saddened by the words you read on that screen, of other of my kind, passing. Sometimes we die young and oh so quickly, sometimes so suddenly it wrenches your heart out of your throat. Sometimes, we age so slowly before your eyes that you may not even seem to know until the very end, when we look at you with grizzled muzzles and cataract clouded eyes. Still the love is always there, even when we must take that long sleep, to run free in a distant land. Come to me not as "alpha" or as "trainer" or even "Mom or Dad." Come to me as a living soul and stroke my fur and let us look deep into one another's eyes, and talk. I may tell you something about the fun of chasing a tennis ball, or I may tell you something profound about myself, or even life in general. You decided to have me in your life because you wanted a soul to share such things with. Someone very different from you, and here I am. Now, come sit with me on the floor. Enter my world, and let time slow down if only for 15 minutes. Look deep into my eyes, and whisper to my ears. Speak with your heart, with your joy and I will know your true self. We may not have tomorrow, and life is oh so very short. The name of this breed conjures up images of weasely little dogs with few redeeming qualities. While the name is accurate for their ability, I think Teddy Roosevelt, who is credited with naming the breed in the USA, could have spent a little additional time finding a nobler name for the animal. Life magazine featured photographs of President Roosevelt with his three black and tan Rat Terriers years later. The Rat Terriers originated in Great Britain and were originally the result of a cross between the Manchester Terriers and the Smooth Fox Terriers in the 1820's. They made the trip across the pond to the USA in 1889. Upon their arrival, they were still their original color of black and tan. Breeders in the USA then added in the Beagle and Whippet, which improved their hunting and trailing abilities, increased speed and agility and introduce the blue and brindle colors. When smaller varieties were desired, breeders crossed smaller sized Rat Terriers with the Smooth Fox Terrier and the Chihuahua. This cross didn't seem to affect their ability to work at their selected field. In fact, it was one of the smaller varieties of the breed that is rumored to have single handedly killed 2,501 rats in an infested industrial barn in less than eight hours. Bet they put that dog on the "Do Not Enter" list at Disneyland! These are highly intelligent, curious, alert and lively little dogs that make good companions for everyone. They will do well with respectful small children they have been raised with from the time they are puppies. They are friendly with strangers but can be protective of their homes and stubborn if allowed to be. They can be feisty without fear and can compete with the best terrier of other breeds. Like all terriers, they can be relatively difficult to train, therefore, it is important to establish a strong and positive pack order with the breed from the very beginning to avoid these issues. They are not known for being strong swimmers and this should be considered if you have a pool or pond on your property. Since they are so intense in their task when trailing many have been injured and killed when their chase has taken to the water. Even if your Rat Terrier hasn't been trained to hunt, this should be considered when selecting the breed. On the up side, they are not known to be "yippy" like many of their smaller brethren. The Rat Terrier comes in three different sizes for your shopping pleasure. The largest is the Standard. The Standard is the least common variety in the States and ranges in height from 15-22 inches (38- 56 cm.) and weigh from 14-32 pounds. (7-14 kg.) They also seem to be the most laid back of the three, and least likely to get themselves into trouble. I have been unable to find any information on genetic issues or breed specific diseases and look at this as a good thing. It is usually the easiest information to find on a breed. It could very well be due to the fact the breed is relatively new and we just haven't had enough time to screw them up. They have a life expectancy of 14-17 years. The breed is very well muscled dog with broad shoulders, thick chest and powerful legs and neck. They are fairly compact with a well-defined musculature. Their heads are small with a decidedly pointed muzzle. This is necessary for the task they were designed to do. The ears are erect or slightly tipped but will always stand tall when they are working a scent. The choice of coat color is quite varied. They come in black and tan, blue and white, red brindle, tri-spotted and red and white. They are easy to groom and only require the occasional combing and brushing. Even with the work they do, they are relatively clean dogs. The Rat Terrier will do very well in an apartment and will be fine without a yard providing they receive a short daily walk. They are fairly active indoors and will gladly play around the house to work off excess energy. Their weight should be monitored as a lack of exercise can easily lead to obesity. If they are allowed in your yard unattended, it is important to ensure it is fenced and that the fence is in good repair as they can be quite the little escape artists. Rat Terriers love to dig, and they can get out of a fenced yard relatively easily. Provided they have the proper protection, they are able to spend a good amount of time outdoors. Whether they are to become your best friend or a die-hard working dog, the Rat Terrier is a good choice. They do well with most family environments and are an excellent selection for an older person as well. They are an extremely well rounded breed that will give you many years of laughter, love and pleasure. The dog thinks, "Boy, I'm in deep doo-doo now." Just as the leopard is about to leap, the dog exclaims loudly, "Man, that was one delicious leopard. I wonder if there are any more around here?" Hearing this the leopard halts his attack in mid stride, as a look of terror comes over him, and slinks away into the trees. Meanwhile, a monkey who had been watching the whole scene from a nearby tree, figures he can put this knowledge to good use and trade it for protection from the leopard. So, off he goes. But the dog saw him heading after the leopard with great speed, and figured that something must be up. The monkey soon catches up with the leopard, spills the beans and strikes a deal for himself with the leopard. Now the dog sees the leopard coming with the monkey on his back, and thinks, "What am I going to do now?" But instead of running, the dog sits down with his back to his attackers pretending he hasn't seen them yet. Just when they get close enough to hear, the dog says, "Where's that monkey. I just can never trust him. I sent him off half an hour ago to bring me another leopard, and he's still not back!"